If you are self-employed, you have a wide range of options. You can operate through your own limited company, join an umbrella company or work as a sole trader. Or if you plan to go into business with one or more partner, you could form a partnership. Most contractors and small businesses opt for the limited company route. 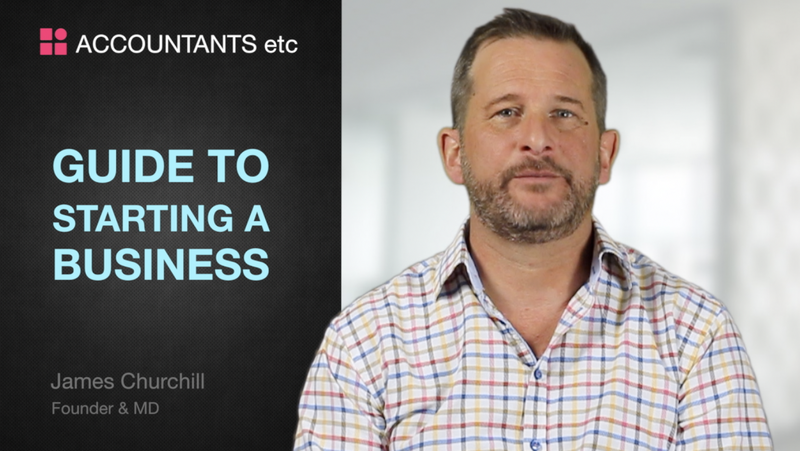 It means you will have obligations to HMRC and Companies House but, crucially, it helps you to maximise your tax efficiency. Whatever status you choose, the principles of cashflow, financial planning and promotion remain the same. 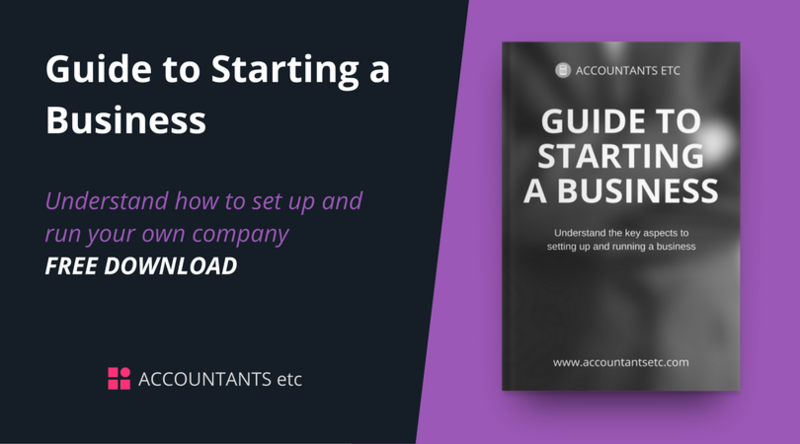 In this guide, we will tell you how to set up, manage and promote your business. Many people actually find this the hardest thing to get right. Your company name should tell customers what you offer, but not sound too similar to other registered companies. It should not imply a connection with any government bodies and there are a list of words and expressions that are not allowed in company names. Your website and email addresses should match the name of your business. Details of the directors and company secretary (assuming you have one). Companies House will apply its own model articles to your company if you choose not to submit your own. Everyone at the company must comply with the Articles of Association. Send your documents to Companies House by post or online. Once it’s checked everything over, Companies House will send you a Certificate of Incorporation. Good cashflow is absolutely vital to the financial health of any business – whether large or small. Several factors can affect your cashflow. If you buy stock with your business’s cash reserves, you will be short until you have sold the goods and received payment. If you’re too generous with the terms you offer your customers – or are too slow to chase late payments – money will be leaving your account quicker than it comes in. At the heart of good cashflow are prompt payments from your clients. Obviously, you’re never going to get complete control of the date your clients pay you, but you can take steps to avoid unnecessary delay. Agree with your clients when you will invoice them and when they will pay you. You can write this into your contract, making it clear what action you will take if you are not paid on time. If you’re worried about the creditworthiness of a new client, credit check them before committing to anything. Your name/company name – if you work through a limited company, show the name as it appears on your certificate of incorporation, and include any trading names. Your address and contact details – use the address where legal documents can be delivered, your telephone number and email address – the easier it is for clients to raise queries, the quicker you’ll be paid. A unique invoice number – all invoices must have a unique number (it also helps when chasing payments). If you are VAT registered, add VAT beneath the sub total and include your VAT number on your invoice. The total amount owed – the subtotal plus the VAT (if applicable). It is worth noting that Microsoft Word and Microsoft Excel provide useful invoice templates that can easily be downloaded and modified. Long term – billing on the same date each month sets a regular and predictable pattern and will allow you to tackle any late or non-payment issues before they get out of control. Short term or one-offs – for ad hoc projects, consider invoicing a percentage up front with the balance due on completion. Do not agree to be paid in full upon completion unless the project is short or you know the client well. Some businesses dictate payment terms of 60 or even 90 days to their suppliers. If a client presents you with terms like these, weigh up their effect on your short-term cash flow against the long-term value of the client before taking the work on. Why not give your clients an incentive to pay quickly by offering a discount for settling invoices within say, seven days or by setting up a direct debit or standing order? You must decide how you will deal with late payments. A gentle reminder is usually enough, but be ready to take things further if necessary. In most cases, an oversight on the client’s part is usually the reason behind a late payment. Give your clients the benefit of the doubt but act quickly so that you do not miss the next payment run. Think carefully before you threaten any action. If your deadline passes, will need to make good on it to have any chance of success. Set up a accountancy software package that shows you what’s due in and what’s due out at any given time. This will help you plan for the immediate future and deal with unforeseen issues such as cancelled work, bad debts or emergency expenditure. Pay close attention to your VAT liabilities. If you’re on the standard VAT accounting scheme, you may owe HMRC VAT on some invoices before they have been paid. There are other options that may be available, such as cash accounting for VAT. Making major purchases outright is usually cheaper than hire purchase or other credit schemes in the long run. But assess how they will affect your cash flow before you commit. If they will leave you short, you may be better off spreading the payments. Keep up to date with your monthly payments. This will help you avoid punitive fees and extra interest and it will build goodwill, which will help if you ever need to ask for extra time to pay. It will also contribute to your company’s good credit rating, which will allow you to shop around for the best credit deals when you need them. There are bound to be occasions when your business doesn’t generate income. Where you’ve planned a break or forecast a quiet period, you’ll know about these periods in advance. Other circumstances, such as last-minute project cancellations or sickness, are harder to predict. To keep your business ticking over during financial downtime, plan ahead. Allow for your financial needs over the full 52-week cycle of the year, not just the weeks and months when you know you will be in work. Take time to consider how much holiday you plan to take and, based on your general health, make your best estimate of how much work time you might lose to sickness. Set your rates accordingly and build a cash reserve you can fall back on when you are not working. If you’ve committed to a long-term contract and you have a holiday planned during its lifecycle, be sure to give your clients the dates beforehand. If you take time off to recharge after a period of intense work, you really should spend some time beforehand to get your next project lined up. Time off is a good thing – but it can be costly if it lasts too long. If you have taken the time and trouble to plan and pay for holiday, make sure that you enjoy it. Research shows that a staggering 45% of self-employed people carry on working while on holiday, while others admit to getting stressed about the money they could be earning. You have earned your holiday, so don't spoil it for yourself and those who are close to you. Keep some money to one side to pay your taxes (VAT, corporation tax and income tax) and National Insurance when they are due. If you spend that money thinking you’ll earn it back before the payments are due and then fall ill, do not expect HMRC to show you much sympathy or understanding. Few businesses survive, let alone succeed, without promotion or regular marketing campaigns. This can take many forms, including media relations, print materials and direct mail, through to live events and outdoor advertising to online marketing and TV advertising. What will work best for your business will depend on your target audience, what media they use most and what type of messaging they respond to. Most businesses will tell you that they benefit from a well-designed, modern, efficient and properly-managed website, networking, blogging and social media. The good news is that none of these need be expensive. Websites are now an essential tool and, for many people, will be the first experience they have of your business. For others, it will simply be proof that you are who you say you are and that you do what you say you do. There are three functions your website must perform. Your website must clearly set out the products and services you offer. It should also spell out your Unique Selling Proposition – the benefits of doing business with you that cannot be achieved anywhere else. Use your website to demonstrate your expertise and how it works for other clients. This could be through visual proof of your work or through case studies. Whether you prefer to be contacted by telephone, email or online form, make your calls to action bold, visible and easy to follow. Times have changed. Networking is now more important than canvassing and puts you at the forefront of the minds of people who will one day need your services – or could influence others to choose them. How Do You Make The Most Of Networking Opportunities? Almost every industry sector and every major town or city has a lively networking community. Be part of it. Organisations such as BNI, Smarta and chambers of commerce offer great networking opportunities. If you are one of those people who tend to forget names, this tactic will help. It will help build a rapport, but don’t do it all the time as overuse can annoy some people and appear false. People enjoy talking about themselves and what they do. Ask open questions (starting with ‘how’, ‘what’, ‘why’, etc.) so that they cannot answer you simply by saying: 'Yes'. Make sure that you listen when they talk about their favourite subjects, and prove that you have by asking follow-up questions. If you’ve had an interesting or informative conversation with somebody at a networking event, drop them an email to say how much you enjoyed meeting them, ensuring your contact details are included. If you mentioned an article or website during your conversation, send the relevant link or attachment with your email. Blogging and networking through social media are excellent - and cheap - ways to project your personality and business to a global online audience and differentiate you and your business. And the best news of all is that, in most cases, it’s free. Blogs allow you to share insights, experiences and knowledge that are uniquely yours. By shaping these into articles such as ‘how to’ or ‘reasons why’ and creating content that is relevant to your target audience’s concerns, you will establish a following of regular readers. As you build trust and authority, you will start to see increased business and customer loyalty. Before you write a blog, consider your target audience. What problems do they face? What is happening within their industry? Why should they read your blogs? When you write, keep it informal. Don't talk down to your audience and do not overtly try to sell to them - if you do, it will turn people off, but the occasional relevant link to your webpages will do you no harm. Let readers respond with their comments - encourage them to do so, and always engage with people who join the conversation. If you were to commit to every social media network you would never get any work done. For most businesses, the four key platforms are Facebook, Twitter, LinkedIn and Google+ and you should take advantage of what they have to offer you. This is still the behometh, the one that most people turn to. Use Facebook to create company pages, advertise and publish regular updates, press releases and other information about your business. Your brand in 140 characters. Be useful, be funny, be unique, but most important of all, be yourself. Use the hashtag facility to home in on buying signals in your industry sector. Potential clients will surely look you up on LinkedIn, so use your profile to project your personal skills, experience and career highs. Don't exaggerate your skills or your capabilities. You can also connect and network with like-minded people, so this is a great tool for networking. Google treats everything you publish here as if it’s on regular web pages. That means it will be more visible than content on any other social network. Whenever you write a blog, create a short URL and link to it from your social media updates. This also allows you to track the links and measure the impact of your posts.